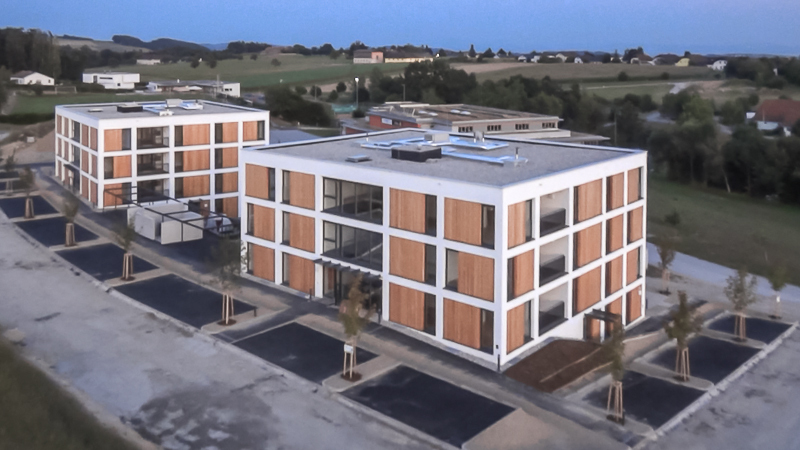 The two buildings, which are currently under construction, will be punctually completed for the start of the winter semester 2015 and will be ready to move into on 01.09.2015. 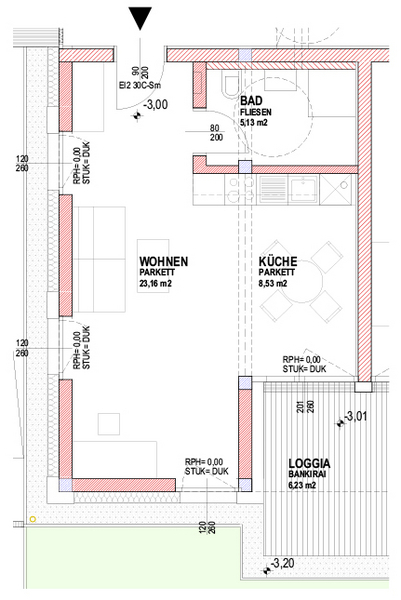 The total 24 shared apartments for 3 people and 8 single apartments have been designed together with the architectural team TWO IN A BOX from Ottensheim and in keeping with our goal of SUCCESSFUL STUDYING AND PLEASANT LIVING IN HAGENBERG and taking into account our experiences with our other student homes. For example, barbecue sites, outdoor table-tennis areas and a party room for each building are at the residents' disposal. The buildings comprise 4 stories, which are connected by a lift. The ideal location of the residences ensures a peaceful environment for the residents and yet they are only a few minutes away from the campus by foot. Time and energy can be spent on studying and leisure instead of on long journeys to and from the university. 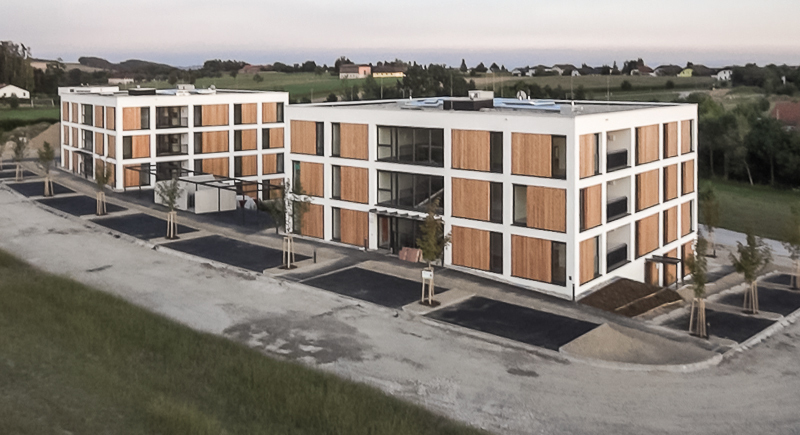 The shared apartments for 3 people, each 72 m², consist of 3 equal-sized rooms, kitchen, hallway, separate bathroom and WC and a shared area with attractive recessed balcony. The kitchen is fully equipped with oven, ceramic glass cooktop, dishwasher, extractor fan and refrigerator with freezer compartment. The bathroom is equipped with shower, washbasin and a washing machine connection and is spatially separated from the WC. 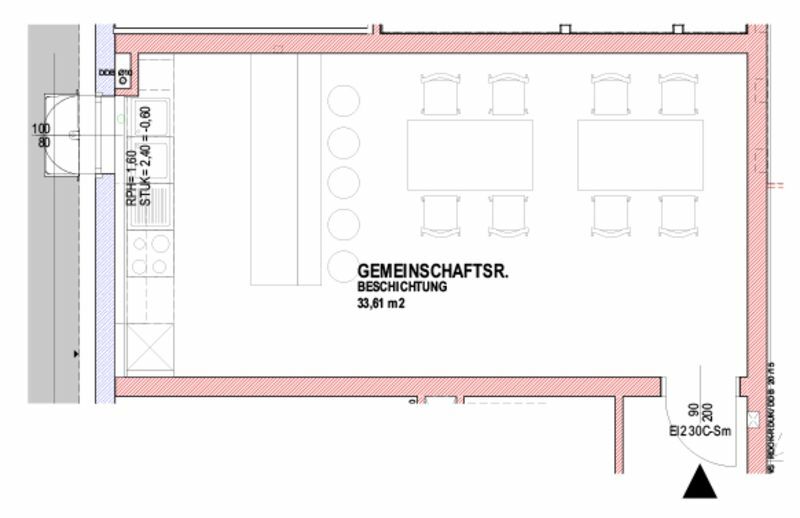 A cellar section, two car parking spaces and 2 roofed bike parking places are assigned to each apartment. The single apartments of approx. 40 m² are at ground level and south-facing. All apartments are fully furnished in a modern style and include kitchen unit with oven, ceramic glass cooktop, dishwasher, extractor fan and combined refrigerator/freezer. Both the living and sleeping areas are equipped with modern furniture, bathroom with shower and WC are spatially separated. 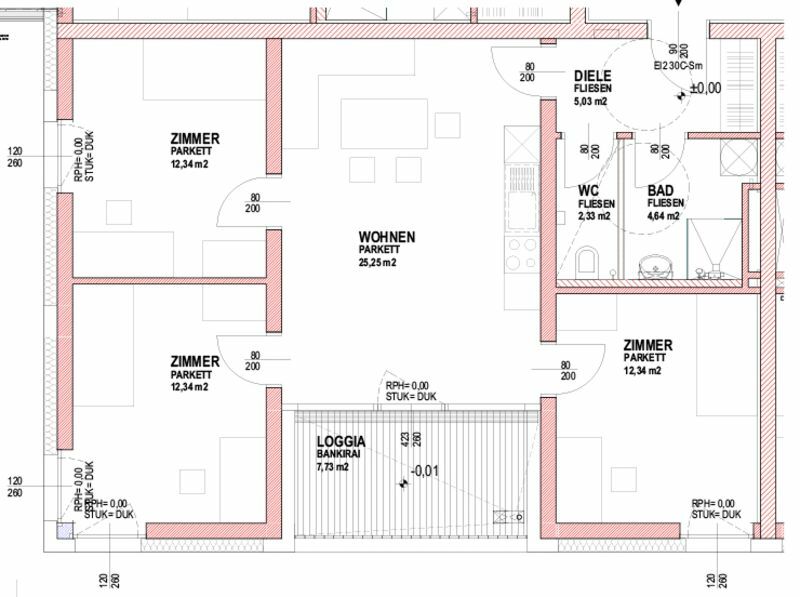 1 car parking space, a roofed bike parking space and a cellar section are assigned to each apartment. The apartments are accessible for people with disabilities. A laundry room with fully automatic washing machine and dryer is available to all residents. A cellar section is available for each apartment. Each building has a lift. In each building, for the time after a hard day of studying, there is a party room for celebrating or a leisure room for sitting around, relaxing, discussing or for a table football tournament. 24 modern shared apartments for 3 people, 8 excellently equipped single apartments, situated in countryside, but only 3 minutes on foot away from the campus.